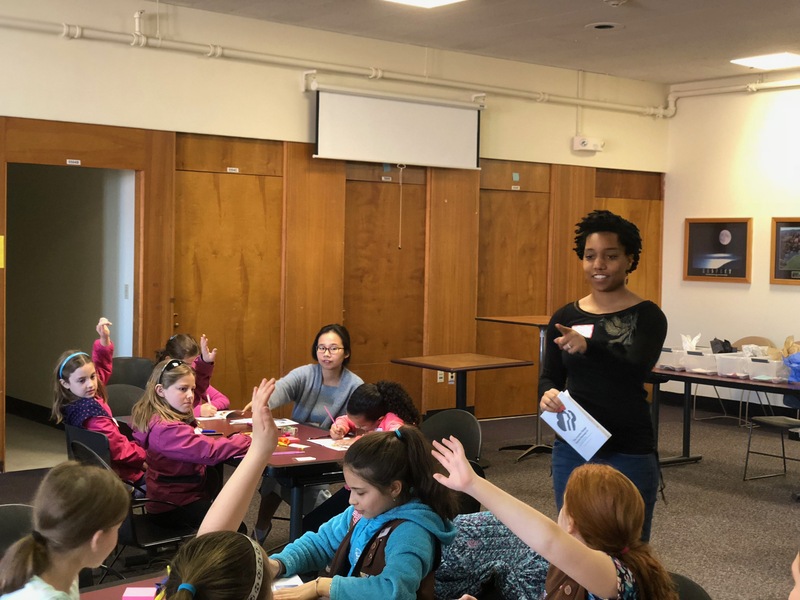 Last weekend IGERT Student, and Graduate Women in STEM Outreach Committee Co-Chair, Destenie Nock, hosted an event for 20 girl scouts in the 3rd and 4th grade. While on campus the girls worked with graduate students to go through a series of engineering projects which included designing paper planes to transport paper clips, and optimizing a candy supply chain. After completing the engineering projects the girl scouts were awarded their inventor badge. She would like to thank Maggie Ugolini and the Office of Professional Development for assisting in planning the event.